I have a kind powerful project for you! PRINT OUT: How-to instructions for an intimate or large event (below)! During challenging times, rather than get weighed down by things outside of our control, we must positively influence the space we occupy – mentally and physically. Then, pay it forward! The Kindness Rock Project immediately caught my attention because of its sentiment and simplicity. People paint rocks with pictures or inspirational messages and leave them around town. Not only does this offer all the excitement of a city-wide treasure hunt, but it brightens up the scenery with little bursts of joy! Others find them and keep them or re-hide them. It’s easy to do for all ages, meaningful to both the giver and the receiver, plus it delivers unexpected, burst of beauty. This project engages the full community! About the time I’d learned of #TheKindnessRockProject my good friend and fellow creative soul, Bea, found inspiration in a painted rock she stumbled upon while on vacation in tiny Topock, AZ! Talk about synergy! We immediately agreed on the potential for this creative venture and the potential impact on our hometown – empowering people, encouraging children, all while weaving stronger ties within and with surrounding communities! The rock group #RedondoRocks was born. 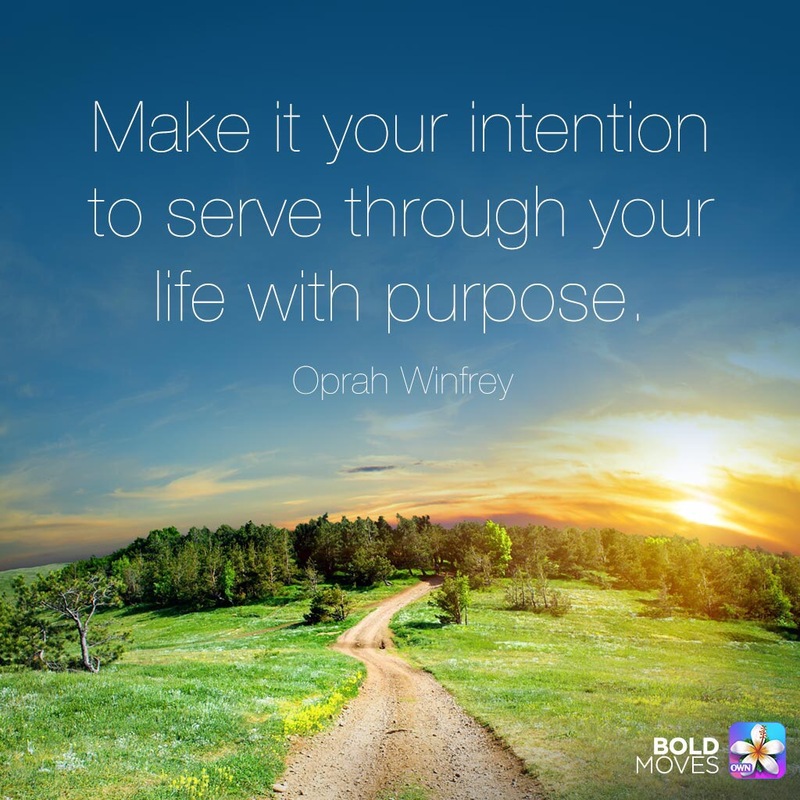 WWOD: What would Oprah Do? What would you put on a rock to give Oprah? Being able to experience this project first-hand through the kind heart of the Project’s founder, Megan Murphy, really left a lasting impression with me. She, like I, lives to make connections. Sprinkling kindness and encouragement helps anonymous people connect on an non-intimidating, yet intensely personal, level and provides a boost of whatever that person needs! While each rock creates one individual connection, kindness is contagious and the excitement grows exponentially! 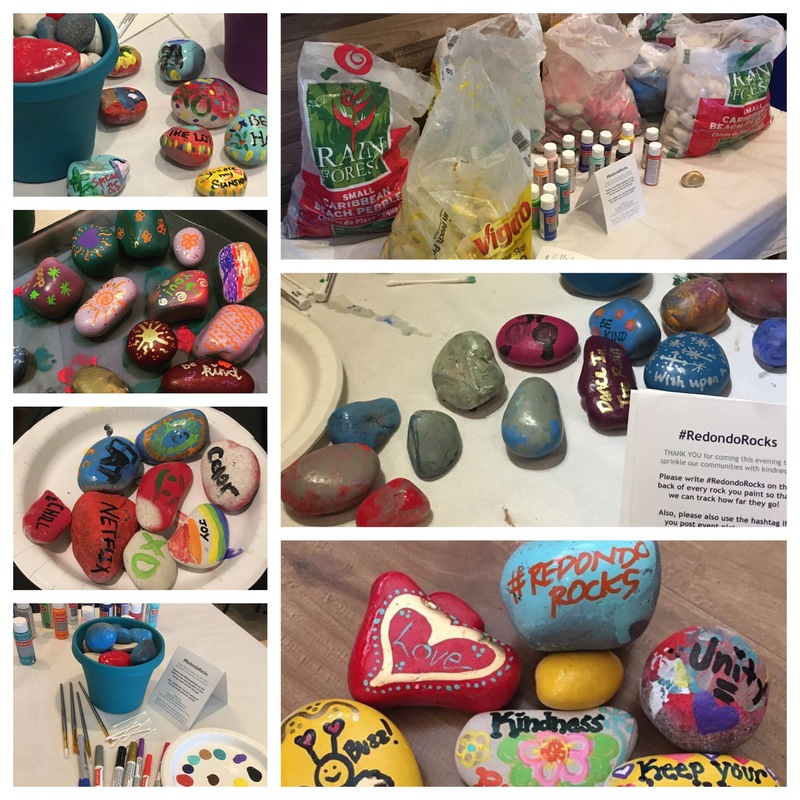 Some communities create Kindness Rock gardens in their neighborhoods or schools to counter bullying, and encourage kids who feel challenged while journeying through a rough spot. It also helps center people in their lives because, truly, we all get in a grind and time flies by. But when a flash of color or a kind saying catches your eye, you are instantly anchored in that spot, in your day, feeling those emotions and getting caught up in the color or the weight of the rock. I love how a simple gesture can have such large meaning. 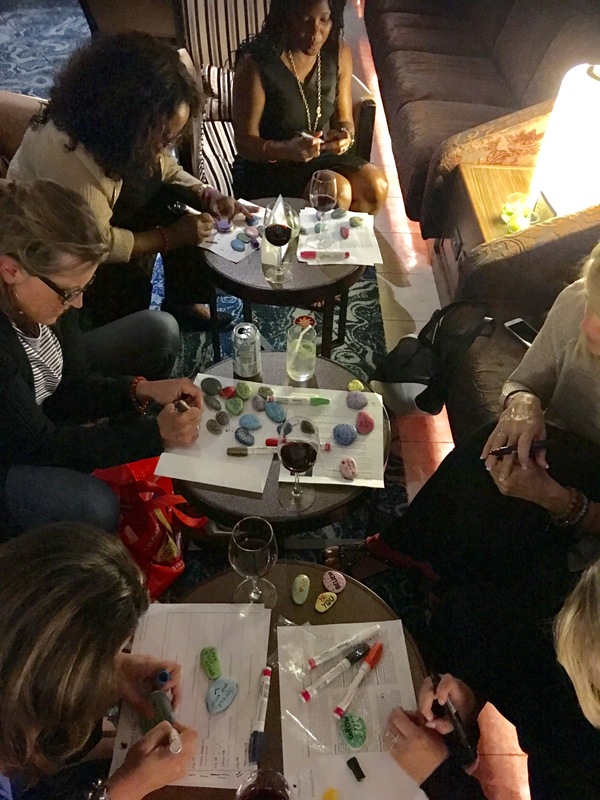 The #OMagInsiders painted rocks together while cruising on Holland America. After going ashore in Alaska, hunting for hiding spots in quaint Ketchikan, I felt thrilled and rewarded. Returning to the ship that afternoon, Megan rewarded me with the news that my rock was reported “found” before I even got back on the boat by someone who worked on the ship! Talk about a full-circle moment! Kindness Rocks also helped us connect with a specific passenger and a very direct intent that left all of our hearts overflowing! Megan believes that the right rock always finds the right person. Additionally, the interpretation of what power these rock groups hold and how to deliver it to individual communities comes from within them. Some groups start with an individual, a small troop of children or circle of friends painting and hiding rocks. Some kick off with a large community gathering evolving into regular rock-painting parties! Painters are first-timers or seasoned artists using pens, paints or stickers to adorn their rocks with pictures, sayings, or mascots. Then people spread out to cover their community (or represent it elsewhere) with kindness. While Bea and I knew we were offering a fun evening for all ages at our first painting night, many secondary gifts popped up! Guests went offline. People exhaled and slowed down. Parents and kids painted together, or allowed each other the mental space to stay as long as they wanted. Folks tapped into their creative side, filled each other’s kindness buckets and painted with passion! Friends either found a new tribe or the perfect spot for quietly perfecting their craft! 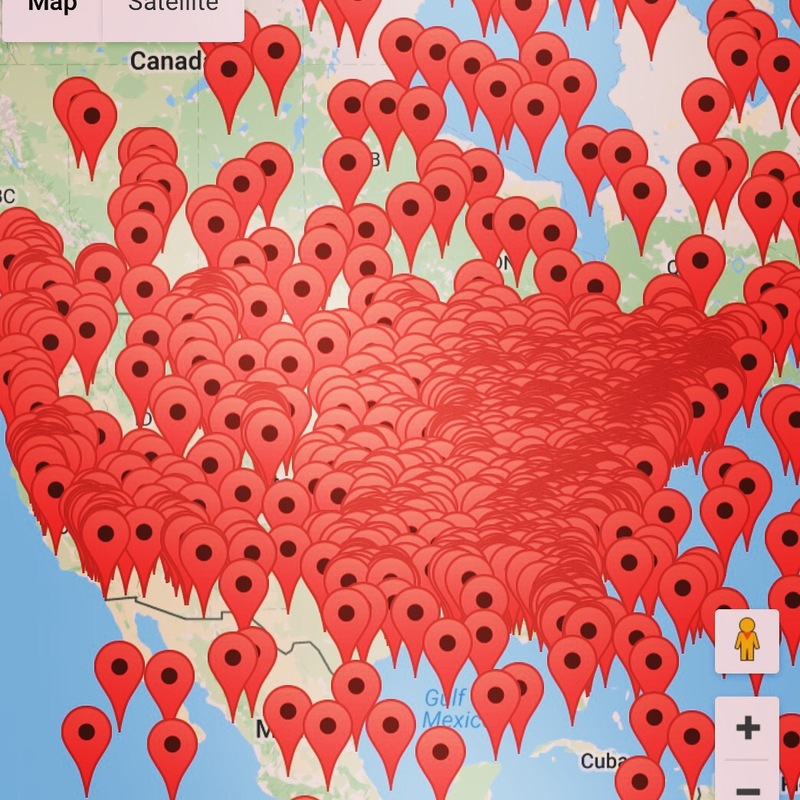 Plus the fun spills over from the event and carries people for weeks while hiding their rocks, posting teasers on social media for where to find rocks, or others posting when rocks are found! The power of the group’s hashtag means that the web of Kindness woven throughout the community may be felt whenever one wants it. A large part of this comes thanks to The Great Room Cafe who shared this vision of a kinder community and let us take over their party space while offering delicious food and fun activities for those who were done painting but wanted to linger in this evening a little longer. This was truly the perfect venue for such magic to occur! Bea and I look forward to hosting our next painting party and helping people plan their painting events! We wholeheartedly believe that many little gestures add up to a grand statement! The Kindness Rock Project reminds us that the power to control our own happiness, and contribute to others, was with us the whole time. Have you painted Kindness Rocks? Have you found a Painted Rock? Are you a member of a Rock Group? If so, list your club’s url in the comments! Do you keep rocks or re-hide them? What would Oprah Do? 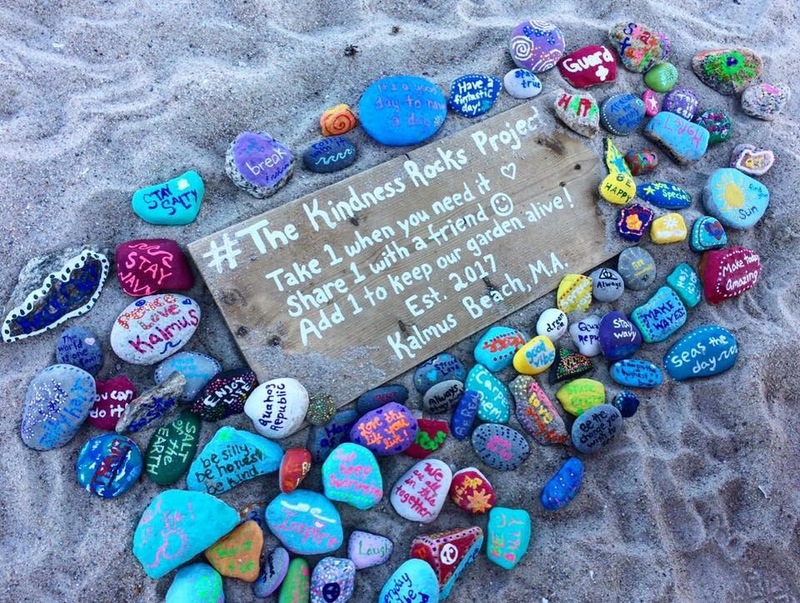 Do you have a favorite story involving Kindness Rocks? If so, please share in the comments! After placing my mouth over the corner of the sandwich bag, closing my lips gently, inhaling deeply and removing the air from my daughter’s lunch, therefore creating a perfect freshness vacuum in her various snack bags, she politely informed me that it was No Trash Tuesday! In her universe, that means lunches must be brought in plastic trays, re-usable water bottles, and a really cute assortment of teeny Tupperware with the goal of making less trash at school and in the landfills. Besides the fact that we were already 2 minutes late when she told me this, we simply didn’t own all of the above, so I promised we’d have our act together by next Tuesday. While shopping for the above, my mind wandered beyond the stinky, sticky school lunch yard contemplating just how far we could go with reusing, reducing, and recycling on No Trash Tuesdays! After spending the morning telling my son to carefully choose his words directed towards his sister, I thought repackaging this mantra, “If you can’t say anything nice, don’t say anything at all!” to reduce trash talk and taunting might help them choose their words more consciously and would benefit our morning commute. Posted to my employee board at work, was the following article: 15 Things You Should Give Up To Be Happy by purposefairy.com. It focuses on all of the things that we accumulate and carry with us – aka: Baggage. They quoted one of my favorites, Wayne Dyer, “Would I rather be right or would I rather be kind?” I’m told we don’t actually get an Olympic podium at the end of our lives where we receive awards for being right all of the time, earning the gold medal, some of the time, earning the silver, and so on. I like the idea of incorporating letting go of these 15 things go into No Trash Tuesday. As with any of the above efforts, focusing on it for a day makes us conscious of our habits and behavior and then the goal to increase the habit to make it an ingrained behavior is the long-term goal. What can you do to reduce the trash in your personal dancing space? If you need a good Tupperware lady, I know one - not me!